Losing a baby is a tragedy. Whether it’s during pregnancy, or from unexpected complications after the baby is born–the significant grief and pain need to be addressed. If not, they’ll likely resurface, wreaking havoc on our mental health. 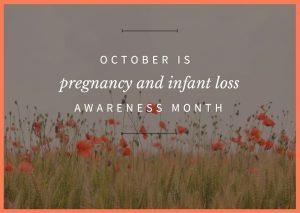 Stillbirth is generally used to define the loss of a pregnancy past 20 weeks, according to the Centers for Disease Control and Prevention. Each year in the United States, about 24,000 babies are still-born. Well after childbirth, there’s something the CDC calls sudden unexpected infant death (SUID). SUID happens when an infant younger than 1 dies suddenly and unexpectedly, and the cause of death isn’t immediately obvious. These tragedies are mostly due to Sudden Infant Death Syndrome (SIDS), when a baby accidentally suffocates in bed, or an unknown cause. There were 3,700 instances of SUIDs in 2015. Regardless of cause, timing, or statistics, the result is devastating. I lost my second child during the first trimester. The baby, a girl, had one too many of her 16th chromosome, something called trisomy 16. I was sad, angry, and shocked, in no particular order. Because I’d already experienced postpartum depression (PPD) after the birth of my first baby, I knew I was at risk for recurrence. I allowed myself to grieve. I talked about the loss with family and friends. I went to a miscarriage support group. When we learned the baby’s gender, we named her. I researched miscarriage, to better understand how and why it happens. The information didn’t drive away the grief. It did help me understand how common miscarriage is, and to feel less alone. I didn’t face PPD again. But there’s part of me that still grieves the loss. A study published in the British Journal of Psychiatry in 2011 shows that the loss of a child to miscarriage or stillbirth is associated with “significant depression and anxiety,” especially in a future pregnancy. Even after she goes on to have another healthy child, the mother’s mental health can remain compromised. The study authors suggest that while infant loss isn’t typically considered a risk factor for a perinatal mood and anxiety disorder, it should be. They encourage care providers to find out whether a pregnant patient or new mom has lost infants in the past: it’s valuable information that can help gauge her risk of developing a mood disorder. I agree with the authors of the BJP study. Infant loss at any stage upends our emotional and mental well being. It should be elevated to the same level of importance and consideration as are other risk factors for mood disorders, such as a personal or family history of depression or anxiety, a lack of social support, or marital stress. In my debut book, When Postpartum Packs a Punch, I point out how risk factors can’t predict with ultimate certainty who will or won’t face a mood disorder. They can, however, paint a more accurate picture of a patient’s emotional landscape. This educates everyone involved, and helps care providers offer faster, more specific treatment. This is important, because 12-25 percent of new moms encounter a perinatal mood disorder. 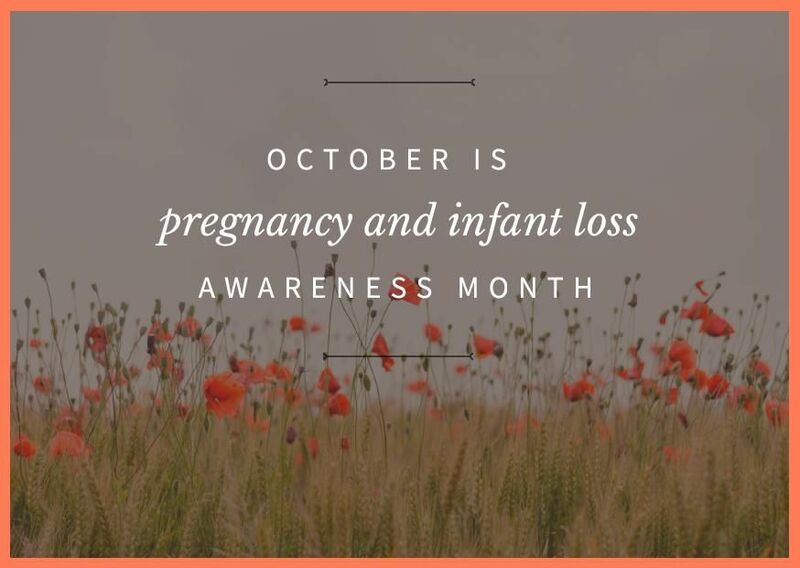 October is designated as the month when we acknowledge the grievous blow of infant loss. I don’t believe we should limit our recognition to just one month, though. Grief is a lifelong process. It doesn’t get easier. Healing takes work. Yet we have an amazing capacity for it–to get stronger, to rebuild, and to help others we meet along the way.